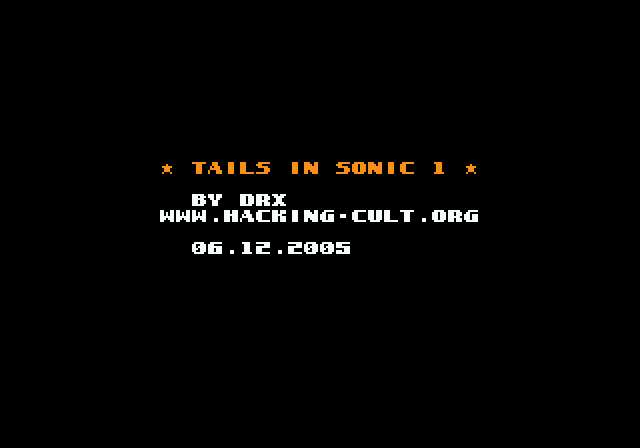 After porting Tails to Sonic 1 + Sonic & Knuckles (Sonic Special Stages - see hacks section), I made something bigger - ported Tails to Sonic 1. Downloadable in our hacks section. For more info, go to the forums topic. Wow! Amazing! 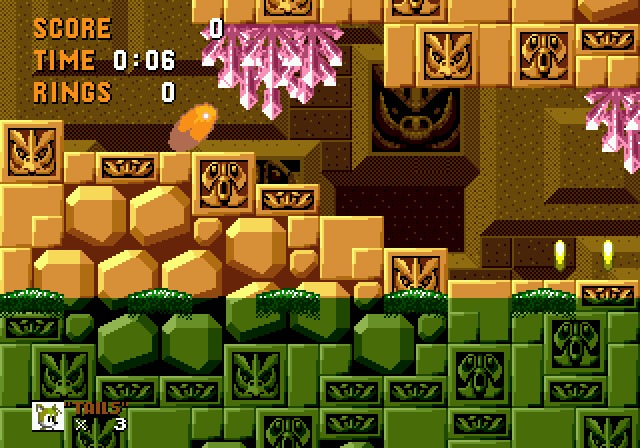 First Knux in Sonic 1 and now this. Every hack I see screenshots of never seem to stop surprising me and this makes me think this hack woul de a must have if it were ported to a genesis cartridge. Nice one, drx. Nice to see you're up and working on stuff again. Heh. I need to do the same for Sonic 2 now. it looks good, realy good but wheres the download butten? This is perfectly ! <br> <br>This hack and the from Knuckles is excellent hacks, and is good-maked ones ! <br> <br>CONGRATULATIONS. <br> <br>This is more one very good hack who i have viewed ! <br>I downloaded this and saved he into a CD-ROM to the rest of my life. <br>RESUMING: <br>PERFECTLY COOL !!!!!!!!!!!! I'm Sorry ! <br>This post as above is a post made by me ! Amazing!! This hack is awesome!! 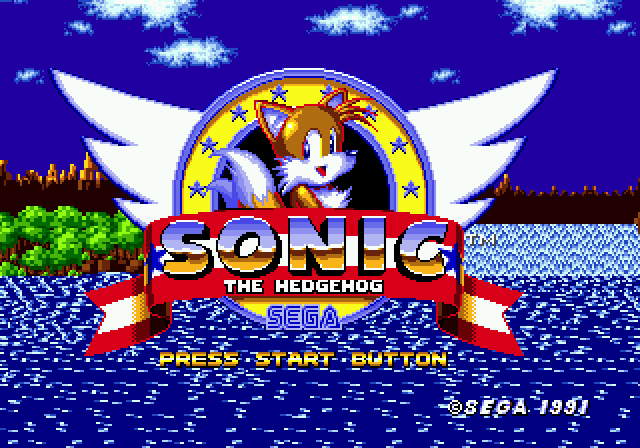 Tails' animation in the Title Screen is great!! <br> <br>But it can improve, fixing the color pallets... 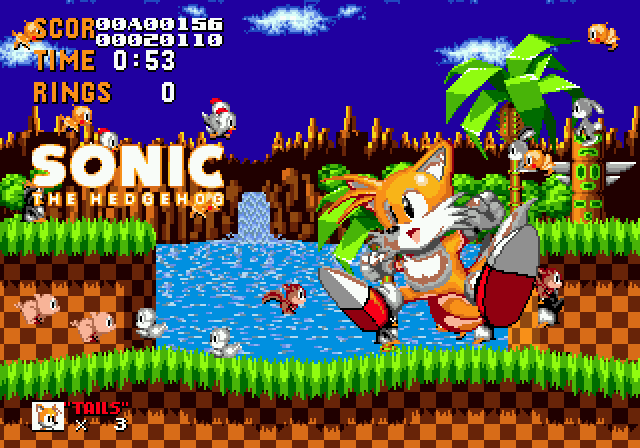 The ending screen (from the last screen shot) can use Tails animation in Sonic 3 & Knuckles ending and center the sprites too. 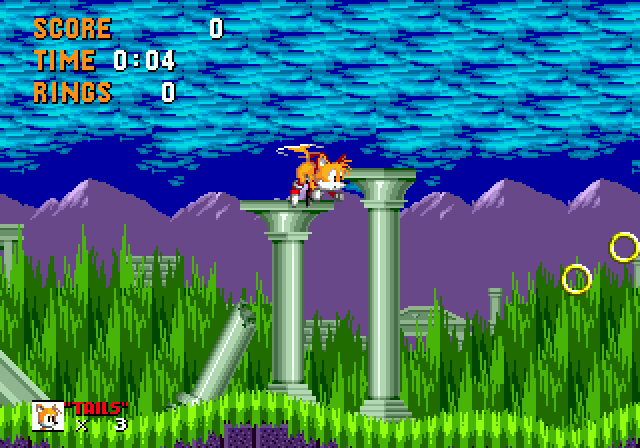 And, before jump to the screen, Tails can stand with his eyes openeds, not closed. <br> <br>After all, it a A-WE-SO-ME hack. 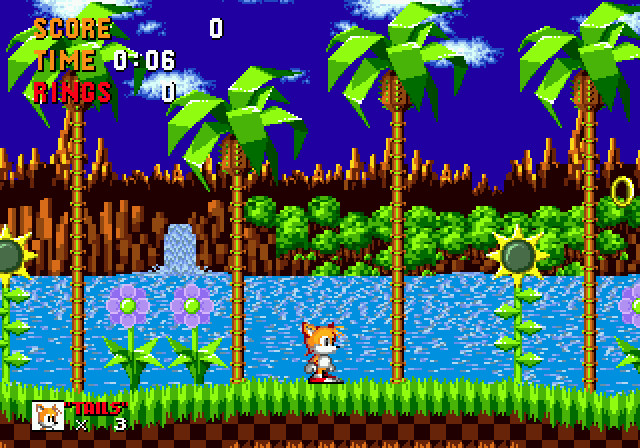 <br> <br> <br>By the way, how about a hack in Sonic 1 to increat to Sonic the abilities to do the Spin Dash and Super Peel Out (Sonic CD), and another hack in Sonic 2 to increat the ability to Sonic to do the Super Peel Out and Tails to do his Fly/Swim abilities? I forgot one important thing: Edit Mode crashes the game. Can you fix this? well this game is fantastic is the same hack of the year....very nice......and have chaotix in sonic the hegdehog 2 or 3?? Sweet! Now if only he could fly/swim in Sonic 2... Aw heck thats another story! This is sooooo cool!